According to 2014 Survey of Construction (SOC) data from the Census Bureau and NAHB analysis, the median size of new single-family homes started in 2014 was 2,450 square feet, the second highest measure since 2009. However, quarterly Census data reveal that this trend of increasing new home size flattened as 2014 gave way to 2015. The annual SOC data allow examination of single-family home size variation across the county. 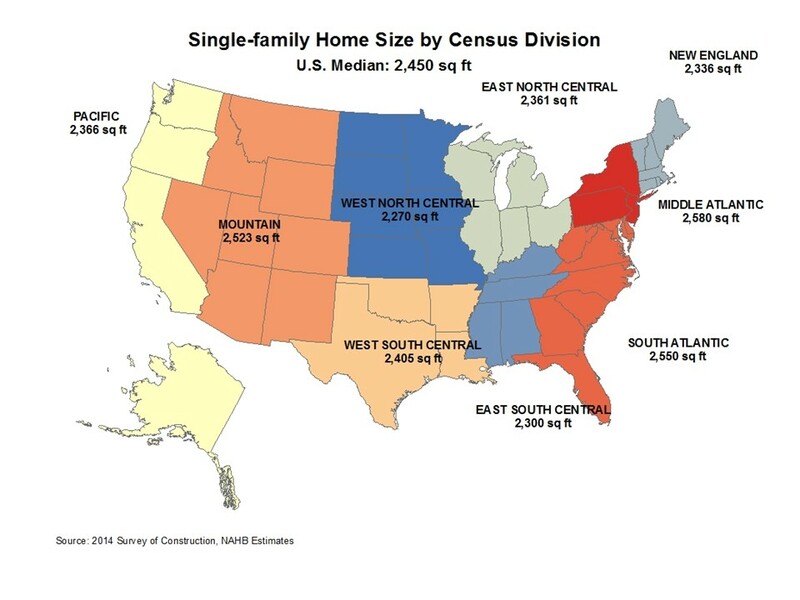 The median size in the West North Central division was 2,270 square feet, the smallest in the nation. The Middle Atlantic division, by contrast, had the largest median size at 2,580 square feet, followed by the South Atlantic division (2,550 square feet) and Mountain division (2,523 square feet). 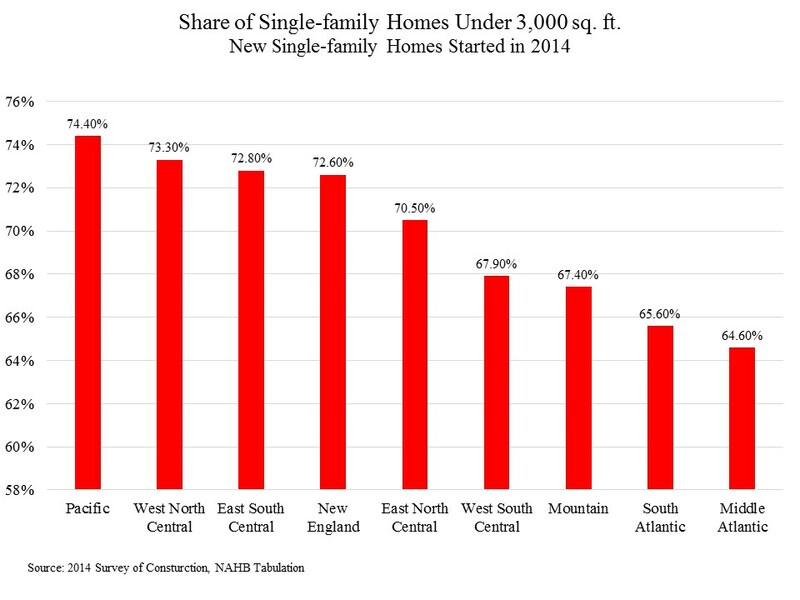 The market share of new single-family homes under 3,000 square feet lay in a rough range of 64% to 75% across Census divisions. The Middle Atlantic, South Atlantic, and Mountain, the top three divisions in terms of median size, had the smallest shares of homes started under 3,000 square feet. The share was largest in the Pacific division, where median size (2,366 sq. ft.) was slightly below the national median.